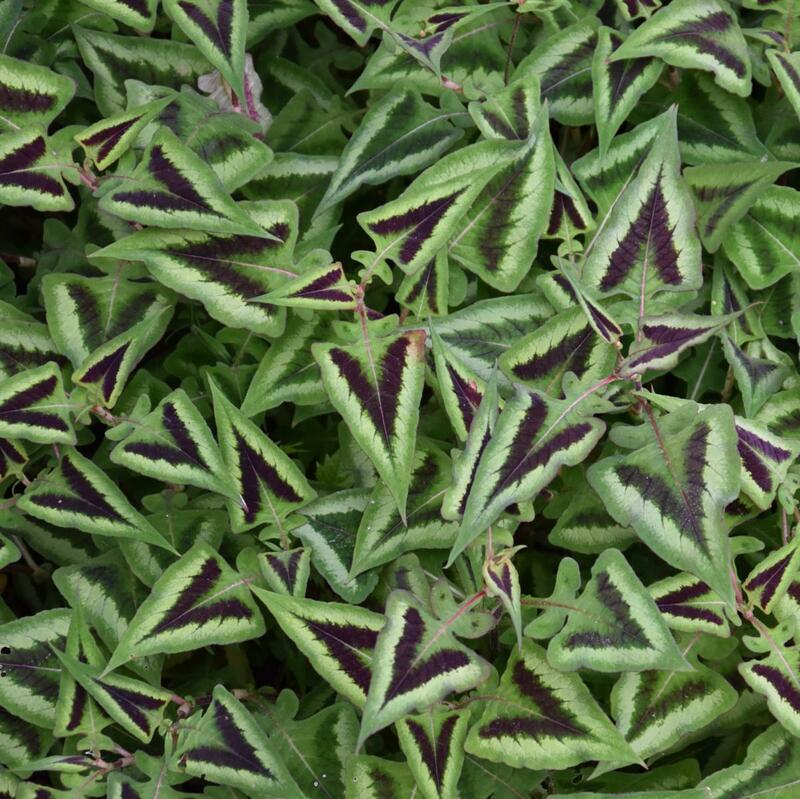 Persicaria runcinata ‘Purple Fantasy’ is a jaw dropping new introduction possibly from a wild collection. The variety forms tight clumps of extremely attractive,arrow-shaped, hairy leaves with a V-shaped, deep purple and silvery chevron and pink in bud opening white flower heads from summer into late autumn. Persicaria runcinata ‘Purple Fantasy’ is a vigorous, spreading plant but not unduly invasive. Height to 90cm eventually, but hard pruning will rejuvenate young foliage. Prefers a moist soil in full sun, but will tolerate shade. 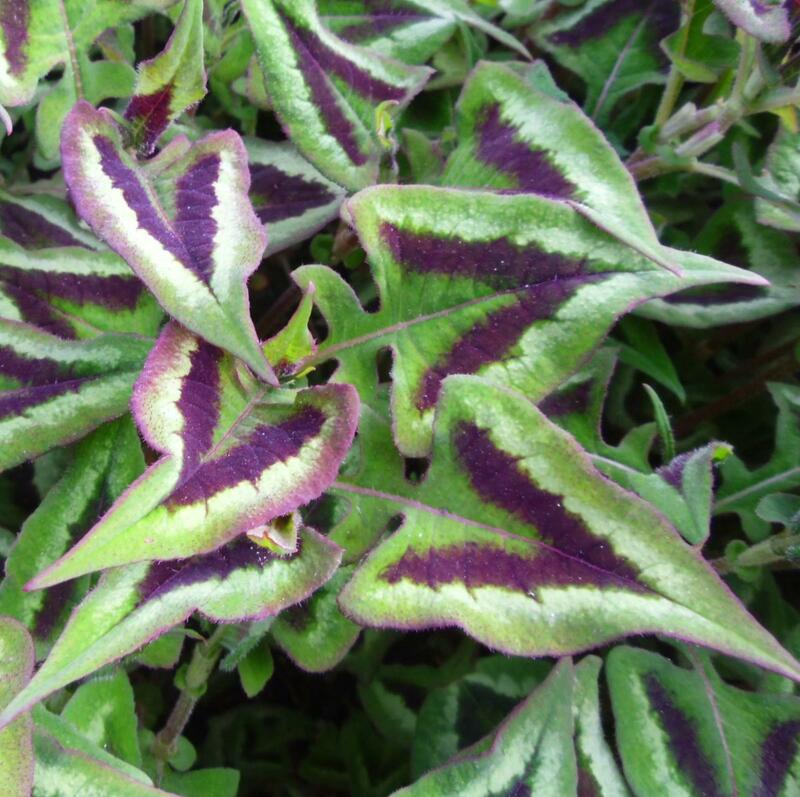 A highly recommended perennial for all those gardeners who love plants for their remarkable foliage - you cannot walk past this variety without admiring the exotic foliage. 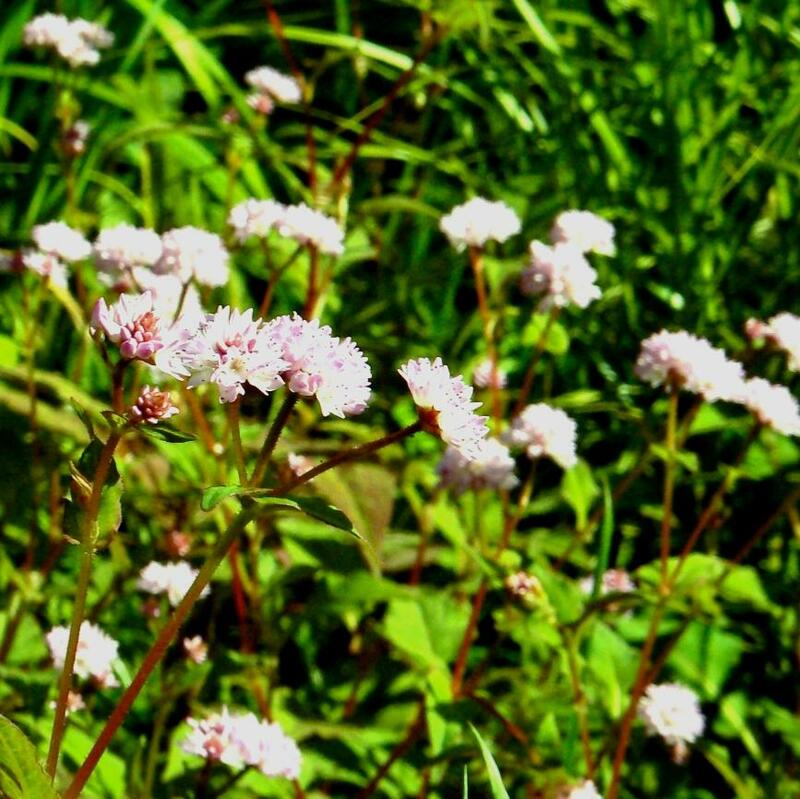 There is uncertainty as to the origin of Persicaria runcinata ‘Purple Fantasy’ but It is also being sold by some nurseries as a variety of Persicaria microcephala a species to which it can have no affinity, given that the habit and flowers are very distinct from that species. The most telling feature is the runcinate foliage which is lacking in P. microcephala.